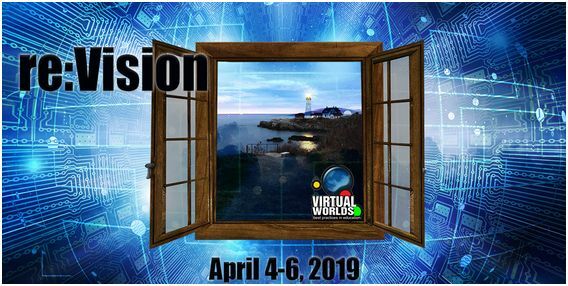 On Thursday, April 4th, 2019, a public Above the Book events was held at the VWBPE 2019 event featuring Grumpity and Patch Linden, who answered questions about the platform and Linden Lab. The following is a summary of the broader points raised during the session, with the full video also embedded at the end. Grumpity originally came to Linden Lab while working for The Product Engine, a company providing end-to-end consulting and software development services, and which supports viewer development at the Lab, and she was initially involved in the development and viewer 2 (as designed by 80/20 Studio). Patch originally a Second Life resident, he joined linden Lab in 2007, after being invited to apply to the company as a result of his work as a community leader and mentor from 2004 through until the invitation was extended. A lot of focus is on infrastructure work; making SL more performant for those in-world, and on moving Second Life services to the cloud. The latter is especially time-consuming and difficult, as it requires moving services over without disturbing the way things are currently set-up. As has been previously stated in public forums, there are currently no projections on whether this will lead to any reduction in region costs. Currently, this work is taking a lot of resources in terms of staff, time and effort. Overall, it is hoped the move will result in LL being more operationally streamlined and cost-effective, however, this could take time (a few years?) to achieve. The recent release of Animesh. The continuing work to fully deploy the Environment Enhancement Project (EEP) that will replace the current windlight settings for controlling the appearance of the environment. The continuing work to deploy Bakes On Mesh (BoM), that will allow system layers (skins / clothing) to be directly applied to worn mesh items. The new Estate Access Management (EAM) capabilities (see the Alternate Viewers wiki page for the latest EAM RC viewer). See my Content Creation User Group summaries for information on Animesh, EEP and BoM. The work on a mobile solution (iOS) for accessing Second Life is continuing. This will initially be text-based. Should be able to take advantage of the naked accessibility options available in iOS. Won’t be available for some time yet. iOS was selected because there are already popular Android solutions (notably Lumiya and Mobile Grid Client – there is also MetaChat for iOS). An official Android client will follow, however. Linden Homes are progressing (there will likely be another preview at SL16B). Work is progressing on the new continent; this will be more organic and natural than the old Linden Homes mini-continents, and will be water / air navigable. There has been the re-vamp and re-launch of Linden Realms. 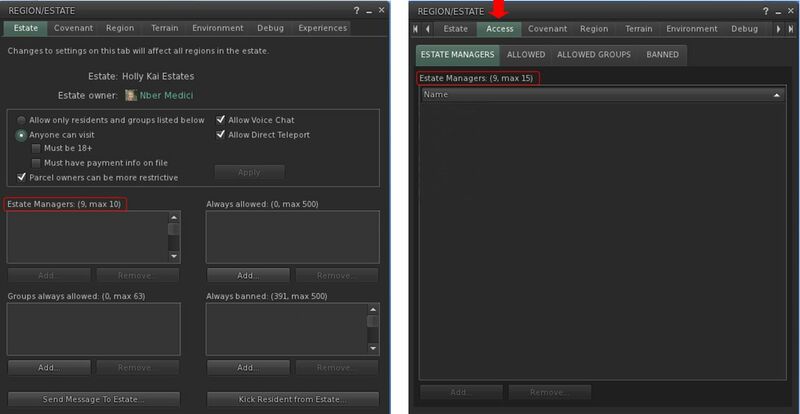 What Audience Does Linden Lab Try to Address with Features? Everyone who uses the platform. The roadmap is designed so the Lab spends time on features for home / land owners, features for content creators, features for new users, features for consumers, features for Premium members, etc. Communities in SL tend to use the platform in a wide variety of ways and continue to surprise LL in how they use the platform. Thus, the Lab try to plan development of SL with as many communities as possible in mind. For the education sector, a lot of work has been put into the RegAPI / Gateway programme to allow educational institutions to bring students directly into their in-world environments, and even brand user accounts specifically to their own institution. Accessibility is always foremost in the Lab’s thoughts. This can in part be addressed by communities themselves in how they take the RegAPI to build their registration process, and gear their gateways. Accessibility options within the viewer are harder to build, due to the nature of the viewer, although some capabilities are presented through third-party viewers – Radegast being the most obvious (although currently stalled in development). When considering features and updates, backwards compatibility is also foremost in the Lab’s thinking, both because of content available in-world that may be in use, but no longer actively maintained / updated, and because users have become reliant on specific capabilities / content. This isn’t always possible, simply due to the age of SL. SL Search: there is a project on the roadmap (yet to be started) to overhaul SL search. It’s too early to discuss specific changes, but Search is complex, and a similar project performed with Marketplace Search took far longer than anticipated, although it yielded positive results. Age Restrictions and Mobile: it is not anticipated that the arrival of an official mobile app for SL will change the current age range access restrictions (just as it hasn’t for the current mobile apps). Any changes in age related access will be a policy change, not the result of any specific technology change. LEA and Art: the LEA is on hiatus and being restructured, and LL are in conversation with the LEA committee and others for the arts community about ideas for moving things forward. Located on the Homestead of Imagine Hall, the KSAA Music Commune is a curious region design, developed by a group of Japanese users to – as the name implies – promote their local music. I say curious, because the overall design is a highly eclectic mix of elements with no discernible theme, but which somehow come together and work in a manner that – whether or not you attend any events there – presents itself as a photogenic environment that might best be described as, “rural shabby”. The landing point is located on the region’s uplands on its west side. These form a shoe-like oval of grass and tree-topped rock that drops sharply down to the coast on the wets side, and fall in a long, graceful slope eastwards on the other, the grass slope forming a natural pasture / paddock. It is possible to walk down this slope from the landing point – but for those who need a faster form of transport, there is a zip line awaiting passengers. This will drop people towards the bottom of the sloping paddock, just before it steps down to a sandy headland marked by a junk yard and aged and deserted big top tent. The junk yard is a haven of mess and oddities, with the wrecks of old cars, the remnants of an auto repair shop, and old furniture mixing it up with children’s toys, bric-a-brac and – indoors – computer hardware belonging to a Steam gaming enthusiast. The upland area of the island is encircled by a railway track / grass path / dirt track which starts and ends at the sandy headland. Follow it south and west, and the railway tracks will take you over a narrow shelf of grass and rock and across a couple of usual bridges to the western end of the island, directly under the high peak. Here the grass path takes over briefly, offering the way to the dirt road, and a little farm sitting in the lee of the cliffs, shaded by cherry blossom trees. Curling around to the north side of the island, the dusty road points visitors to a fork where they can either opt to turn off the road and enjoy the waterside view offered by a shanty bar (pedalo boats available from the rickety pier) and the small beach just past it. If preferred, visitors can continue up a tight, steep slope to arrive at the island’s main music venue, perched under a large water tower and overlooking the beach alongside the shanty bar. This is again an eclectic space, the dance area before the DJ’s “booth” largely taken up by a paddling pool. Beyond this, the road dips back down between dry stone walls to return to the junk yard. There are various places to sit within the region, and plenty to attract the camera, although it is also true that perhaps a little more attention to detail is required; there are a fair few items floating serenely above the ground or over tables and desks and benches that can have one grumbling and / or grateful for the object derender button. I also can’t speak to the frequency of events in the region – a second dance area can be found at the back of the junk yard – there were no in-world schedule boards apparent during our visit, and Group notices are in Japanese. However, there are Soundcloud links in the Profiles of some of the team responsible for the region, which may give a hint to the types of music played here. There is also a Flickr group for anyone who feels like contributing their photos. As voted for by Seanchai fans, followers and listeners. 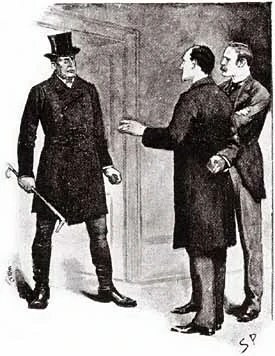 This week: The Adventure of the Speckled Band, which first appeared in The Strand Magazine in February 1892, and is notable for becoming the basis for a 1910 stage play written and produced by Conan Doyle, and which starred H. A. Saintsbury as Sherlock Holmes and Lyn Harding as Dr. Grimesby Roylott. Helen Stoner lives with her stepfather, Dr. Grimesby Roylott, last survivor of what was a wealthy but dissolute and violent tempered aristocratic family. Roylott himself is known for his violent temper, and served time in India for the murder of a servant. Miss Stoner’s visit to Holmes is prompted by Roylott’s demand that she move into a room at his country estate where her twin sister died under mysterious circumstances two years previously, her dying words being, “the band! the speckled band!” Helen is unwilling to occupy the room as there is something decidedly strange about it; thus she seeks Holmes in order to confide her fears in him. Have you heard? Willie Wonka is releasing five golden tickets in candy bars! Charlie Bucket may have a chance to find one as Caledonia Skytower continues Roald Dahl’s classic. Gyro Muggins read from this anthology of science fiction short stories, edited by Donald A. Wollheim, featuring nineteen authors, including such names as Brian Aldiss, Poul Anderson, Samuel R. Delany, Fritz Leiber, Robert Silverberg, and Kurt Vonnegut, Jr. This week, Hemeac by E.G. Von Wald, the story about a student dealing with life in a university run by defective robots; and Street of Dreams, Feet of Clay by Robert Sheckley. Can an imperfect man find happiness in a perfect city? Caledonia Skytower shares another of her original tales: a young American couple on their honeymoon find their ties to Irish heritage are far more insistent than just a simple perusal of genealogies. As the past disturbs their future, Mark and Cate must unravel the mystery of two houses that suffered very different fates, but that are somehow connected. bring a favorite poem of yours, or one you like, to be shared fireside in The Glen.